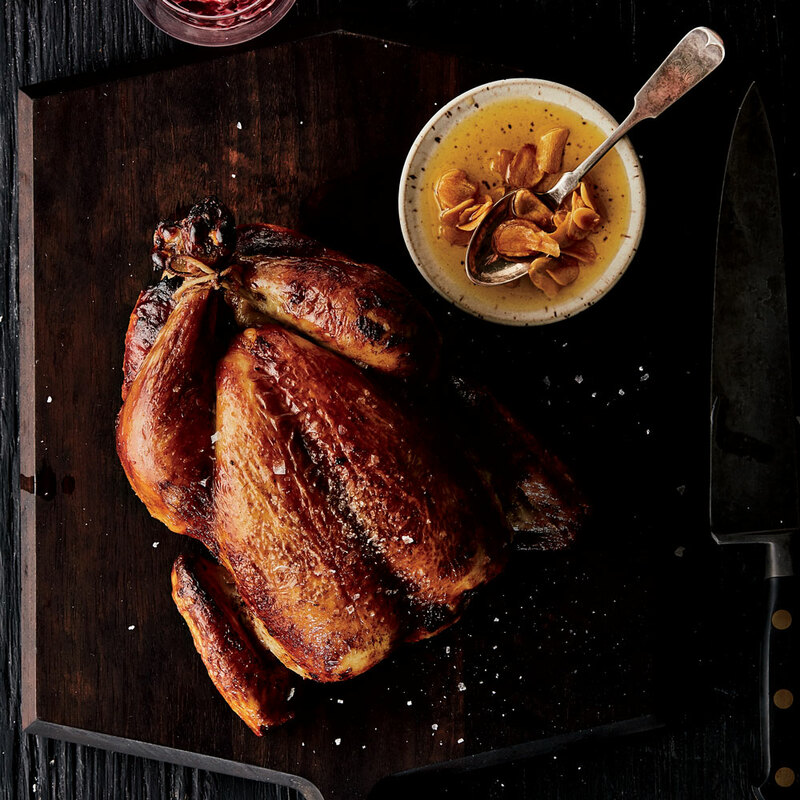 At their new RT Rotisserie in San Francisco, chefs Sarah and Evan Rich mastered the art of the super-succulent, supremely flavorful spit-roasted chicken. The next step? Finding the perfect wine to pair with it. 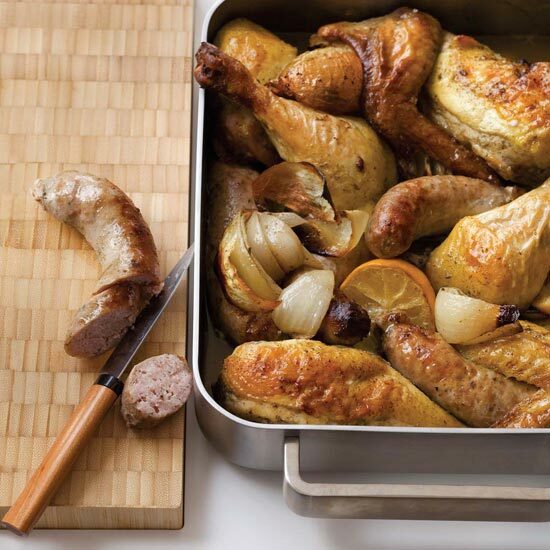 Roast chicken has long been the ultimate anything-goes dish when it comes to picking a wine. 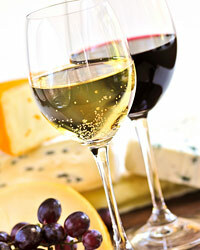 Red or white, light or full-bodied, simple or complex—it’s all good. That versatility is due partly to chicken’s mild flavor; add some juiciness and fat, and a bit of crisp, crackling skin, and, seriously, what doesn’t go with it? But what about a pull-out-all-the-stops great roast chicken—maybe even the perfect roast chicken? Could you come up with a wine that would be the nonpareil pairing for it? If you were Sarah and Evan Rich, the San Francisco chefs behind Rich Table and the recently opened RT Rotisserie, you might ponder that very question. The Riches brine their chickens with two secret ingredients: dried porcini, to add a subtle, savory depth, and sprigs of Douglas fir. (The Riches are serious Douglas fir fanatics—they use the needles, whole or powdered, for a woodsy, herbal note in everything from home-baked levain bread to braised pork belly.) The birds are then butter-basted as they roast, and finished with a glazing of toasted-garlic olive oil. The result is stupendously good chicken. For the wine, the chefs turned to star Pinot Noir maker Jamie Kutch. No real surprise, as Kutch and his wife, Kristen, are good friends with the Riches, and their kids often play together at a local park. At Kutch’s Sonoma winery, Sarah and Evan tasted their way through a string of possibilities, discussing what a great pairing would need: no new oak that would obscure the purity of the Pinot fruit; vivid acidity to cut through the fat of the crisp skin. The wine they ultimately chose comes from the cool, high-altitude Signal Ridge Vineyard in Mendocino. Its bright berry notes and underlying spiciness are an ideal match with the chicken’s layered, herby flavors, and together they lift off. There’s only one hitch to this perfect pairing: You have to go to San Francisco to experience it, since this specific bottling is available only at RT Rotisserie. For a brilliant approximation, however, try this recipe and track down one of the great Pinot Noirs below. You’ll see what we mean.